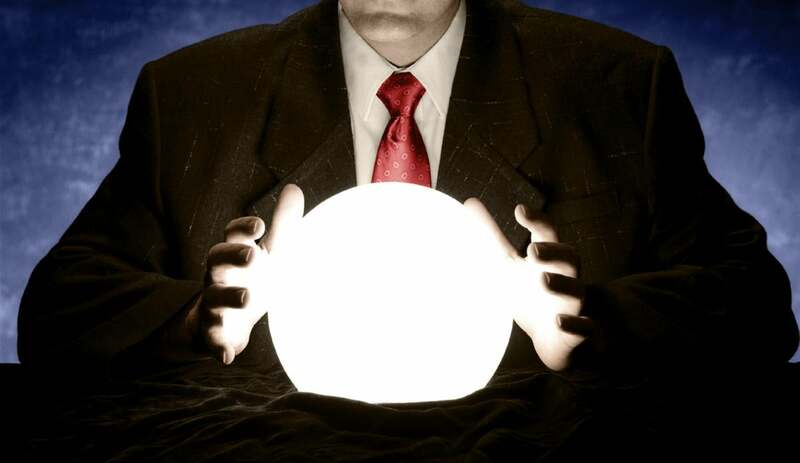 ‘Tis the season for tech bloggers to prognosticate and pontificate about the trends for the next year. This is also the time of year when we fondly reflect on the amazing rate of innovation during the past year and try to imagine how the pace of new technology will continue to accelerate. When publicly making these types of predictions, it is prudent to write about trends that are probable, and it is unwise to write about things that are too far-reaching. Along these lines, here are six network and security technology predictions that are probable for 2017. Malware has been the most effective way for attackers to reach targets globally. Malware propagation has been the definitive attack method for the past few years, and now the effectiveness of most antivirus products is called into question. More and more security vendors offer malware defenses, but not all of these vendor’s solutions are completely effective as malware continues to metamorphize. One trend that is appearing is the emergence of memory-resident malware. These ephemeral infections will not survive a reboot and be particularly difficult to forensically detect, but as more people leave their computers continuously running, this may be a successful attack technique. As malware defenses on enterprise and personal laptop computers becomes more prolific, the attackers will again shift their techniques. It is not difficult to predict that more attackers will shift to mobile malware. Since most enterprises allow mobile devices to join the corporate internal Wi-Fi networks, those mobile devices can be just as lethal and allow attackers to gain access to the soft underbelly of the corporate enterprise. Furthermore, as 4G and 5G services provide substantial internet bandwidth, these mobile devices can be leveraged for extremely potent DDoS attacks. Recently, Lookout and Ponemon Institute predicted that a mobile data breach could cost an enterprise $26.4 million, so it's something enterprises should definitely anticipate. Cisco’s Visual Networking Index (VNI) has predicted that by 2020, there will be more than 26 billion IP network-connected devices. As the Internet of Things (IoT) reaches corporate enterprise networks, consumer’s homes and local governments, the security risks increase because the combined target is larger. The IoT world has the problem of having a wide variety of protocols and standards, enterprises that lack skills with IoT systems, overly complex architectures, products with weak security features, weak security measures and operational immaturity. All of that leads to more security issues. We have already seen immense DDoS attacks sourced from vulnerable IoT devices, and it wouldn’t be going out on a limb to predict even more in 2017. Many security practitioners like to cite Thomas Jefferson’s famous quote “Eternal vigilance is the price of liberty” when they emphasize the importance of visibility and monitoring. That was all well and good when the amount of data to investigate used to be manageable. However, today, most enterprises cannot keep up and frequently turn to Managed Security Service Providers (MSSPs) for assistance. In the modern world of threat intelligence feeds and hybrid-IT environments, the activity of security monitoring and management has surpassed human capability. There are now many security vendors and service providers that advertise features such as artificial intelligence, machine learning, and deep learning, advanced algorithms and data visualization to help enterprises recognize and respond to attacks. Recently, IBM Watson lent its vast capabilities to the world of cybersecurity. In 2017, enterprises can expect to be inundated with these too-good-to-be-true product claims and more security buzzword bingo. We can be hopeful that this marketing will give way to real products that exhibit these advanced capabilities and translate into real security protection measures. For many years, the Gartner Hype Cycle graph has helped organizations visualize the technology maturity lifecycle and differentiate those technologies that are not yet ripe for wide-spread enterprise adoption. Despite the anticipation of the impressive capabilities of software-defined networking (SDN), Gartner has rightly so placed this technology in the trough of disillusionment phase. Compared to large service providers, massive-scale, multi-tenant cloud service providers, and High Performance Computing (HPC) environments, most enterprises seem like technology laggards. The SDN industry hopes enterprises will begin deploying SDN and will finally start to utilize the northbound RESTful APIs, automation, network programmability, and advanced features such as multi-tenancy, campus-slicing, and micro-segmentation. In 2016, we witnessed many enterprises educating themselves on software-defined WAN (SD-WAN) technology and evaluating products from the myriad of vendors in the space. In 2017, many enterprises may have MPLS WAN contract renewals and branch router upgrades that would create a compelling event to make the switch to SD-WAN. Therefore, we expect the use of hybrid-WANs will continue to grow over the next several years. In recent years, there have been several publicized cloud security breaches, and many organizations still use security as a roadblock, prevent their organizations from taking advantage of the benefits of cloud computing. However, one look at last week’s AWS re:Invent conference and you can see that security is a major initiative for AWS and its partner ecosystem and customers. There are now more freely available security advice and best practices for organizations to follow so that they start their journey to the cloud in a secure manner. For those organizations operating in the cloud, there are more best practices and guidelines to audit their deployments against. There are also cloud security certifications such as the Cloud Security Alliance’s (CSA) Certificate of Cloud Security Knowledge (CCSK) and the (ISC)2 Certified Cloud Security Practitioner (CCSP). AWS has also created a Certified Advanced Security specialty exam, which is currently in beta. As more is known about how to securely deploy in cloud environments and enterprises realize they can operate just as safely in the cloud as they do in their on-premises traditional data center, cloud adoption will accelerate. However, if an organization has poor security hygiene in their on-premises environment and they use lax security practices in the cloud, then we can expect more cloud security breaches. The global internet’s progress on IPv6 deployment has been slow but steady in recent years. A quick glance at the Google IPv6 Statistics page or Cisco’s 6lab site will reveal that IPv6 in gaining steam. IPv6 has been deployed by most internet service providers, broadband internet providers, and mobile operators. People are now likely to have IPv6 running on the mobile device in their pocket and at their homes. However, enterprises have been slow to adopt IPv6 anywhere on their internal networks, with the exception being some enterprises that have deployed it at their internet edge. What we are seeing is that IPv6 is accelerating as IPv4 is nearing its peak. Based on that, we can expect IPv6 adoption to continue to sharply rise. But in a couple of years, that adoption rate will start to slow as it reaches 50 percent of the internet’s total traffic. These days, there is much uncertainty in the world in general, and the IT industry is traditionally particularly difficult to predict. Just consider if five years ago you could have foreseen the world we live in today. Anticipating what may happen 18 to 24 months is possible, but trying to predict three to five years ahead is grasping at straws. We are at the early stages of IoT, cloud, AI, automation and performance improvements. We can be hopeful about the advancements in IT products and services and their ability to create new businesses and offer benefits to the community at large. Best wishes for a happy holiday season and optimism for the new year.